It is the goal of Walker County 9-1-1 to provide the citizens of Walker County, Alabama with a quick and efficient method of accessing emergency services using 9-1-1. To obtain this we will use trained professionals and state of art communications equipment. 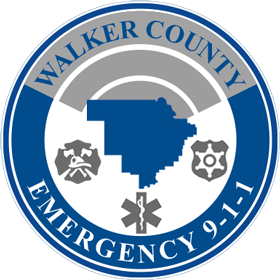 Walker County E 9-1-1 provides for equal access for all Walker County citizens to report emergencies. Why 9-1-1 and NOT 911? People have actually become confused and tried to dial Nine-Eleven! We emphasize Nine-One-One so you will not become confused and you will react properly during an emergency. When using your wireless phone to report an emergency to 9-1-1, give us a notable landmark, cross street intersection, and exact description of emergency you are reporting. Always remember your wireless phone number complete with area code and your name to give to 9-1-1.